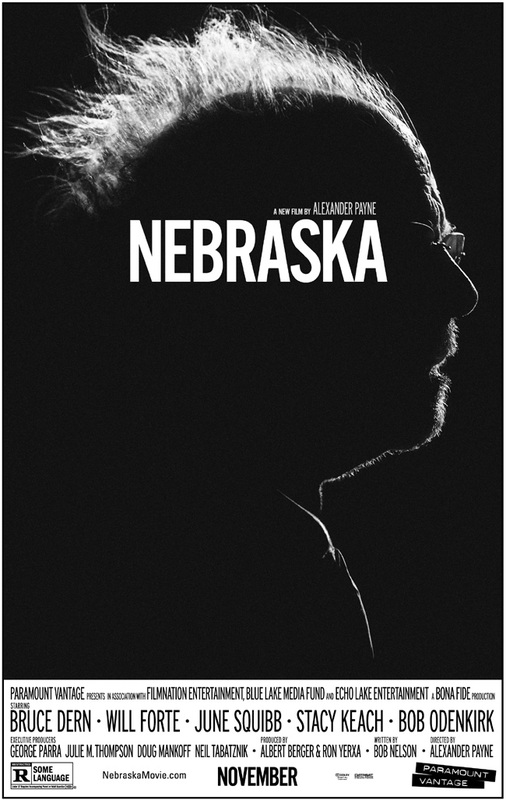 “Nebraska,” which is rated “R” and opens in Chicago on Nov. 22, 2013, also stars Will Forte, Stacy Keach, June Squibb, Bob Odenkirk, Mary Louise Wilson, Rance Howard, Tim Driscoll, Devin Ratray and Angela McEwan from director Alexander Payne and writer Bob Nelson. Note: You must be 17+ to attend this “R”-rated screening. To win your free “Nebraska” passes courtesy of HollywoodChicago.com, just get interactive with our unique Hookup technology below. That’s it! This screening is on Tuesday, Nov. 19, 2013 at 7 p.m. in downtown Chicago. The more social actions you complete, the more points you score and the higher yours odds of winning! Completing these social actions only increases your odds of winning; this doesn’t intensify your competition or lower your odds! Note: You can enter for this “Nebraska” Hookup even if you already have for our earlier “Delivery Man” Hookup, but you can’t win both as they’re on the same evening. at 11:59 p.m. CST. These Hookup winners will be awarded via e-mail that night. “Nebraska” is a father-and-son road trip from Billings, Montana to Lincoln, Nebraska. But the trip gets waylaid at a small town in central Nebraska where the father grew up and has scores to settle. Told with deadpan humor and a unique visual style, it’s ultimately the story of a son trying to get through to a father he doesn’t understand. The movie poster for “Nebraska” starring Bruce Dern and Will Forte. This HollywoodChicago.com Hookup is simple! Just get interactive in our unique Hookup technology above. We will award 50 admit-two movie tickets based on social entry numbers and/or randomly via e-mail for our “Nebraska” Hookup. Good luck!